To be the collective leadership voice for Agricultural Education in the United States. expanded opportunities for students to experience high quality educational programs in agriculture. To have information from your ag ed organization included in the Monday Morning Monitor, email Andrea Fristoe, NAAE Program and Communications Assistant. On June 28, the House Education and the Workforce Committee announced its much-anticipated bill to reauthorize the Perkins Act, the Strengthening Career and Technical Education for the 21st Century Act. Read more. The modules for elementary, middle and high school classrooms provide STEM activities and lessons to show how the challenge to feed our world's growing population can be solved with science. Read more. The XLR8 program includes participation in an intensive professional development experience (multiple sessions) during the NAAE convention, recurring virtual learning experiences, and online collaboration using the NAAE professional learning community, Communities of Practice, as well as other social media tools. All active NAAE members who are currently in their 7th to 15th year of teaching are eligible to apply. Click here for more information and to apply. The deadline for Early Bird Registration is just a few days away! This year convention is November 29th through December 3rd and will be held at the Westgate Hotel in Las Vegas. Remember, NAAE members pay one price to attend both the NAAE Convention and ACTE Career Tech VISION. One of the first things someone needs in order to teach agriculture is a degree in agricultural education. The National Teach Ag Day Collegiate Commercial Contest provides college students the opportunity to promote their respective college or university and agricultural education program through a 20-30 second commercial. Click here for more information. Showcase Your Ag Ed Institution with Teach Ag! Are you looking to recruit new students in your postsecondary agricultural education degree program? Contact Tabitha Hudspeth, Teach Ag Intern, about spotlighting your institution on Teach Ag's social media. Presented by Zoetis, the Veterinarians on Call YouTube channel features real-life vets doing a variety of tasks. This week, meet Dr. Deb Spike-Pierce as she modifies the cast of a thoroughbred racehorse. Click here to watch the video. National Officer Nominating Committee Nominations Are Open! Know someone who would make a good Nominating Committee representative?Submit them to FFA by July 15 for consideration. Simply fill out this Nominating Committee Potential Representative form. Our Annual Sale on Official Jacket Sets Is Here! Orders placed now can be embroidered before the jacket production peak season, which helps our overall production. Beat the back-to-school rush with this special official jacket set offer during the month of July. Set of 10 official jackets - $460 (regular $475). That’s $46 per jacket. Set of 15 official jackets - $675 (regular $700). That’s $45 per jacket. Jacket sets are pre-packaged with a combination of the most common men’s and ladies sizes. No substitutions. Jackets are embroidered with back lettering – chapter and state names – but no front lettering. Offer expires July 31, 2016. Got a Nose for News? Join our National Convention & Expo Newsroom Crew to help tell the story of FFA! College students or recent college graduates pursing degrees in journalism, public relations, telecommunications or a closely related field are encouraged to apply by July 15. It’s Test-Drive Time with AgExplorer! National FFA and Discovery Education have partnered to create a robust, comprehensive career resource to help students and adults explore the broad range of careers within agriculture. AgExplorer looks and feels like an extension of FFA.org and reinforces our commitment to cultivating the agriculture workforce of tomorrow. AgExplorer will also be available for educators to preview at summer agriculture educator conferences and will launch for student use this fall. We’d like to hear what you think. To complete a survey after you explore AgExplorer, click here. 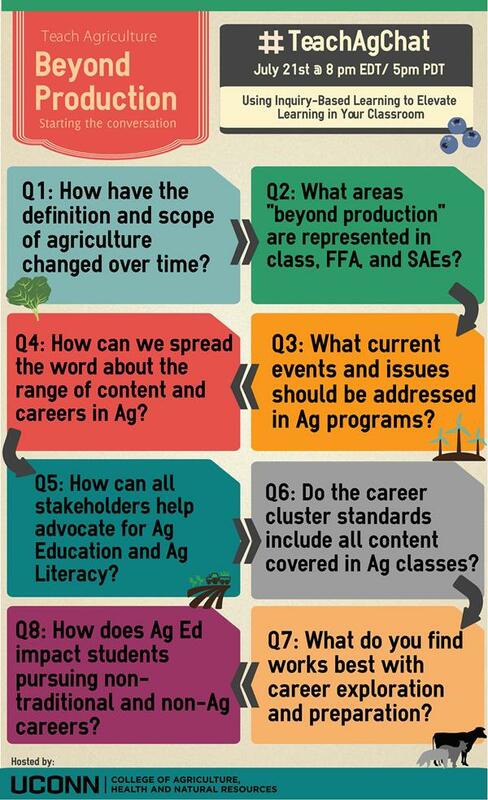 We look forward to guiding you through AgExplorer and receiving your feedback on this new career exploration tool. For more information, check out this FAQ. Friday, July 8, 2016: Florida gets an unwanted visitor—toxic algae; the House passes a GMO label bill; and a couple of cows try their own version of Uber in Pakistan. These and many more ag/science links in this week’s edition. The Council for Agricultural Science and Technology's (CAST) weekly online newsletter, Friday Notes, is available free due to a grant from WinField (a Land O’Lakes company).